After what was arguably the most exciting Super Bowl in NFL history, it’s interesting to take a look at Hawaii’s unique culture of Hawaii sports fans and fandom. Our geographical isolation out here in the Pacific makes it impractical, if not impossible to field a major-league sports franchise. There have been professional games played here. Most notable among them is the ill-fated NFL Pro Bowl, which has moved to Orlando due to flagging attendance. Major League Baseball also held two games at Aloha Stadium between the San Diego Padres and St. Louis Cardinals in 1997. The Hawaii Winter Baseball League, funded by Major League Baseball, ran from 1993-1997, and then again in 2006-2008. Many notable players from the league moved on to the majors and legendary careers, future Hall of Famer Ichiro Suzuki most notable among them. 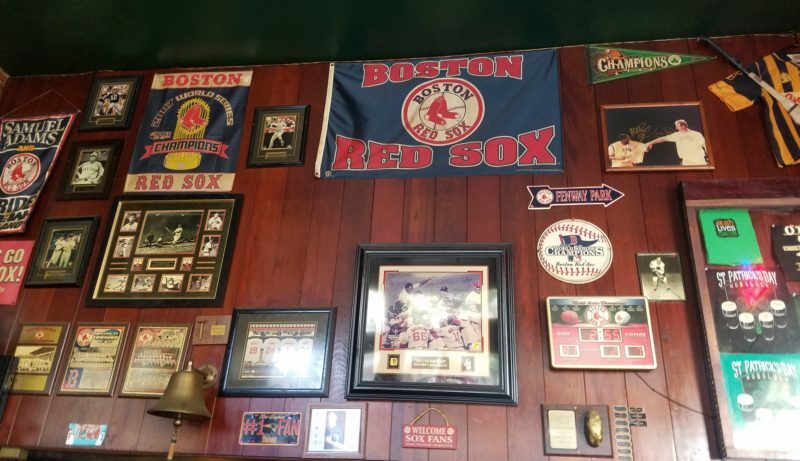 A Boston Red Sox fan haven in Downtown Honolulu. For Hawaii residents, fandom means following family teams. Because my parents moved here from Philadelphia, I’m a lifelong Eagles fan, for example. Other fans root for teams because of players with Hawaii ties. Maui native Shane Victorino, who won World Series with the Philadelphia Phillies and Boston Red Sox, created a new baseball fan base in Hawaii for each team. It is the same with the National Football League, with players with Hawaii ties attracting fans for teams all over the league. Marcus Mariota and Manti Teo are the most famous of Hawaii players currently playing in the NFL. The teams that generate the most passion among Hawaii fans are not professional teams. Indeed, University of Hawaii Athletics are by far the most popular. UH boasts legendary men’s and women’s volleyball programs, with the highest attendance rates in the NCAA. The football, baseball, and basketball programs attract the same sort of committed fans. Hawaii transplants celebrate their own favorite collegiate programs, with pockets of fans gathering at local establishments or back yards to root for their alma maters. Murphy’s Bar & Grill in Downtown Honolulu hosts the annual Army-Navy football game. The massive demand for seats sees the event sell out each year. Fans of both teams enjoy good natured ribbing and an uncommon camaraderie between opposing teams. As a state, we get excited about youth sports, too. When a Little League team from West Oahu won the Little League World Series in. 2005, they became local (and national) heroes. Parades were given. Thousands turned up to welcome the young champions home. Perhaps what makes fandom in Hawaii so unique is the number of transplanted Hawaii residents. Without any major league teams, we have possibly the most diverse fan base of any state. Transplants continue to root for their home teams, and new generations of fans are raised without ever visiting their favorite team’s city. HONOLULU, HI - JANUARY 20: Surfers drop in on a wave at Waimea Bay while contest officials decide whether or not to run the Eddie Aikau Big Wave Invitational, on January 20, 2011 in Honolulu, Hawaii. It’s no wonder that as the historical and spiritual home of surfing, many Hawaii residents pay close attention to the professional World Surfing League. Thousand throng each year to the North Shore of Oahu to witness the Vans Triple Crown of Surfing. 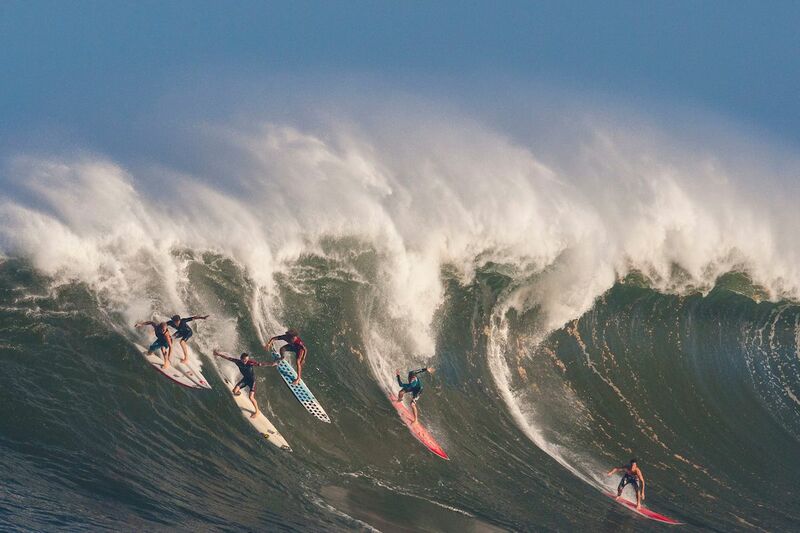 It consists of three events, culminating with the Pipeline Masters. Hawaii junior phenom-turned WSL World Champion John John Florence won his second consecutive title at Pipeline this past December. Hawaii’s Derek Ho, Sunny Garcia, and Andy Irons also conquered the international field to become World Champions in past years. Whether you’re visiting or new to Hawaii, it’s never difficult to find fellow fans of whatever teams or sports you follow on the day of the big game.